Our fourth grade reading program uses the Reading Street curriculum, along with supplemental materials aligned with Arizona College and Career Readiness Standards, to increase reading proficiency with a variety of topics students enjoy. Students are challenged to read materials closely and respond to comprehension questions requiring careful review of material, with a strong emphasis on gathering and synthesizing information from varied sources into written response. Students continue to identify literary elements such as main idea, theme, setting, and character profiles with enjoyable activities and projects that engage student interest at their academic level. Students learn basic structure of plays and attend productions at Prescott High School and Yavapai College. Our classes will have an exciting opportunity for students to perform a poem for the public during our Poetry Palooza event. Responsibility for independent reading is also emphasized. Fourth grade students increase their level of proficiency with spelling and grammar skills, along with use of resource materials. Our new Units of Study writing series familiarizes students with writing in various forms – thesis driven personal and persuasive essays, literary essays, and research reports – genres they will regularly encounter throughout school. The progression of instruction brings students step by step in organizing, gathering research and supportive evidence, expressing opinion, and using vivid details to become capable writers. 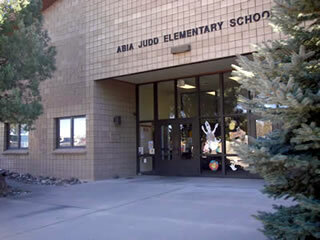 Fourth graders have the fun opportunity to run the Abia Judd Holiday Post Office in December to support letter writing skills across grade levels. Students also enjoy presentations by authentic Cowboy poets/singers, then write their own Cowboy poems for a local competition for grade school students. Winners from each 4th grade class are invited to read their poems at the famous Cowboy Gathering in Prescott. The 4th grade math curriculum, Engage New York, is aligned to the Arizona College and Career Readiness Standards. Teachers use a variety of materials and resources including hands-on activities to teach math concepts. In 4th grade, students are expected to know their basic subtraction, multiplication, and division facts quickly and accurately. They will also multiply and divide multi-digit numbers, and solve real-world problems using a variety of techniques and strategies. Additionally, students develop a deep understanding of fractions including equivalencies, adding and subtracting fractions, and decomposing of fractions. Students learn a deeper understanding of numerical place value and extend it to decimal place value as well. They will use decimal notation for fractions with denominators of 10 and 100. Science standards are taught in an involving and exciting way through inquiry and exploration in fourth grade. Foss kits and hands on activities allow students to explore topics such as magnetism, electricity, and a variety of other standards, and to wonder, inquire, and discover through experiments about these topics before the information is taught by the teacher. Studies about animal life begun in earlier grades are expanded and supported across the curriculum through coordination with the reading program. Invited presenters from the U of A Extension Program teach students about engineering, states of matter, and magnetism, and use WOW (Wild Over Water) interactive lessons to engage students in understanding the water cycle, and water usage and conservation in Arizona. Fourth grade science is intriguing and fun. The great state of Arizona and its geography, government, native cultures, and history is the focus of social studies curriculum for fourth graders. Students love our various field trips to support our study of Arizona, which may include Montezuma Castle and Well, Sharlot Hall, Smoki Museum, Grand Canyon, and The Highland Center. We use the AZ weekly newspaper to enhance our curriculum, which allows students to read nonfiction information about AZ history in a child friendly, activity based format. Arizona Statehood Day (also known as Valentine’s Day) is celebrated with a parade of mini-floats created by students that represent Arizona counties and information from student research. Social studies is culminated by a study of the cowboy era, including Art Docent presentations of Western art, Cowboy poets/singers, and student posters about cowboy life. We learn that it’s great to be an Arizonan!